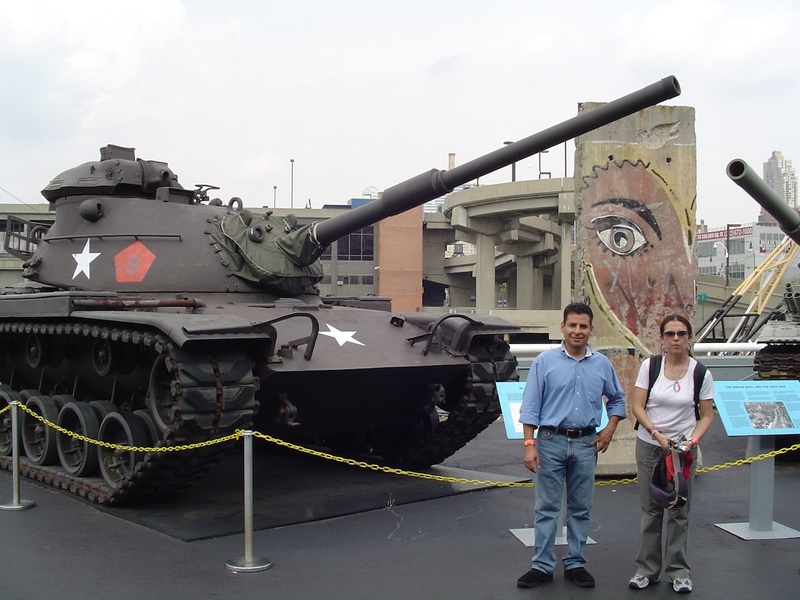 The former aircraft carrier USS Intrepid now serves as Sea, Air & Space Museum and as an attraction of the harbor of New York. 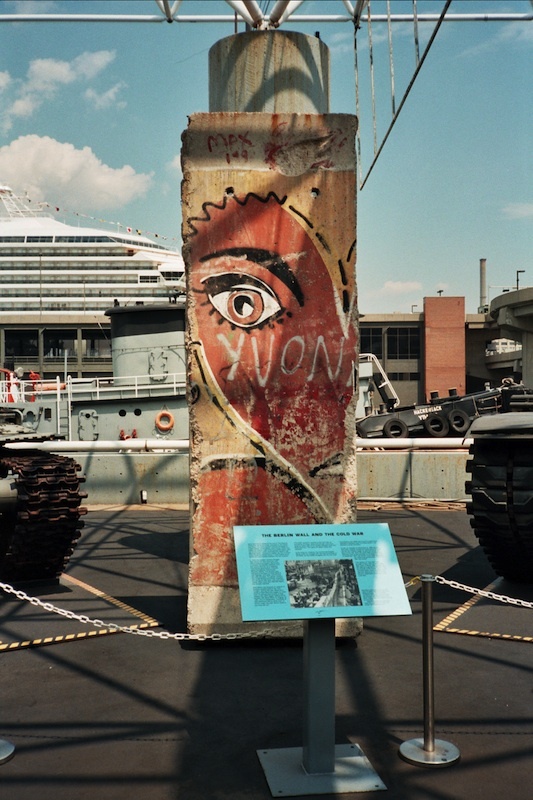 In 1990, a first Wall segment came to the US and was displayed on the upper deck of the warship. The exhibition was initiated by the Berlin Wall Commemorative Group and was promoted by the artist Peter Max. 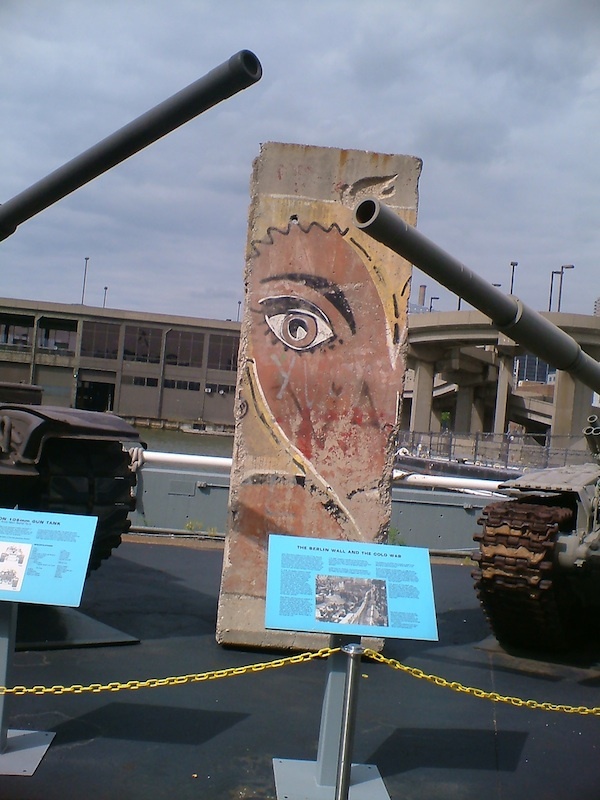 As a source of revenue of foreign exchange, the East German government wanted to boost business with Wall segments in the United States. 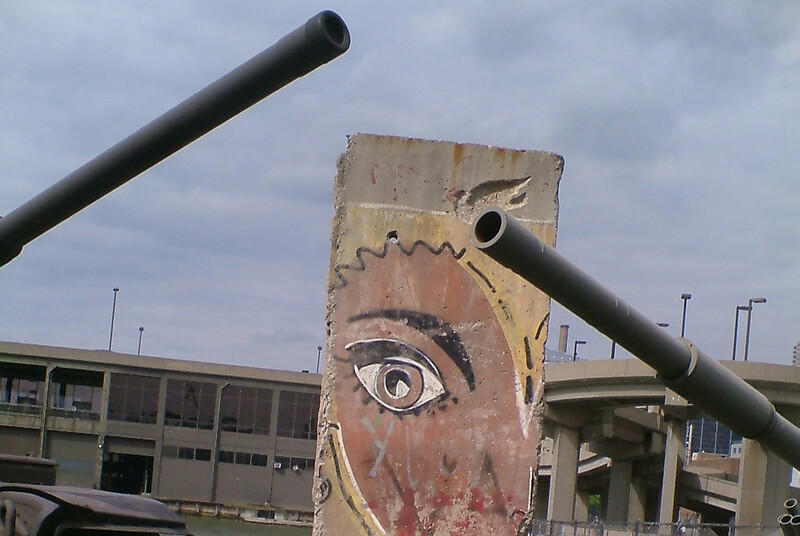 Its trading company Limex therefore cooperated with the Berlin Wall Commemorative Group from New Jersey.